After using SERPWoo tool, I came to know that rank tracking I did before is an absolute joke. Like all bloggers and SEO professionals, I monitor the website rankings ups and downs through various rank tracker tools. But I'm confident enough to tell you that, what we are doing is wrong and I will explain it in short. Most people will follow this procedure to track their websites in search engine rankings. Add the keywords and URL's which you want to rank. The tools show you the ranking position and also notifies when you move up or down. I admit it. SERPWoo does the same. So you might think what's unique about them, right? Let's look into the SERPWoo review which showcases the unique things about them. SERPWoo is an aggressive SERP checker tool because it tracks not only your URL's but also the top 100 search results for your keywords. For Example, you want to track your website for a keyword ” Link Building .” Old age tools show your ranking position for the keyword, but this tool shows your site rankings along with other 100 websites thus enabling you to watch every website moves in top 100 results. Now You're a rank tracking specialist =D since you can monitor all the top 100 pages for a keyword and you can watch your competitors every move. While most tools like SEMrush just tracks the individual position, SERPWoo tracks every top 100 results which gives you a good outline of the niche. For any niche, competitors will increase day by day. You might see some websites directly ranks from Google first page itself. You can monitor such kind of sites, provides a comprehensive set of tools to analyze such competitors. 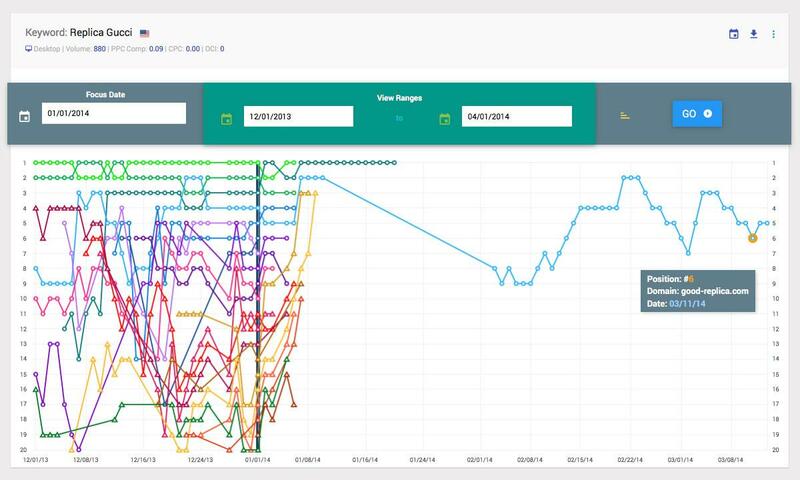 It incorporates data from several Softwares like Moz, Openlinkprofiler, Majestic, Alexa and much more to analyze the URL ranking for the keyword. I checked a website backlinko.com which ranks #4 for the keyword ” Link Building.” the tool provides data such as site age, Alexa ranking, overall backlinks, Moz DA and PA values, Majestic TF and CF Values, Moz rank. Apart from that SERPWoo also analyzes the social signals of the website by letting you know about the like shares of competitors Facebook pages and it also includes stats from Google Plus, Pinterest, Twitter, and Linkedin. I wrote a detailed post about Social signals and I need to talk some more about them here. Not all search results get influenced by Social signals. I work from 4-5 niches, and few niche sites rank with the help of social signals but analyzing the top 20 results of some other niches, I came to know that Google didn't consider the importance of social signals. The scenario is sites with less or no social signal ranks higher while sites with authentic social signals rank lower for some competitive keywords and without SERPWoo, I couldn't be able to do such analyses, and in fact, I saved a lot of money by not getting social signals for those niches. Likewise, you can analyze the overall SERP results thus helping you to optimize your sites for better conversions. Matthew wrote an awesome guide about how to legally steal competitors backlinks. 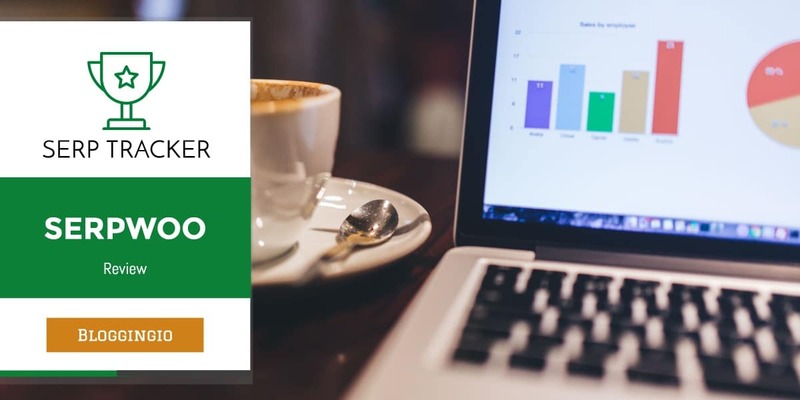 SERPWoo made it simple, Yes you can improve your rankings with the help of this SERP tracker tool. Suppose you are ranking at position 11 for a keyword. Use them to analyze the top 10 pages and click on referring domains or MOZ all links. The tools will list the websites linking to your top 10 competitors. 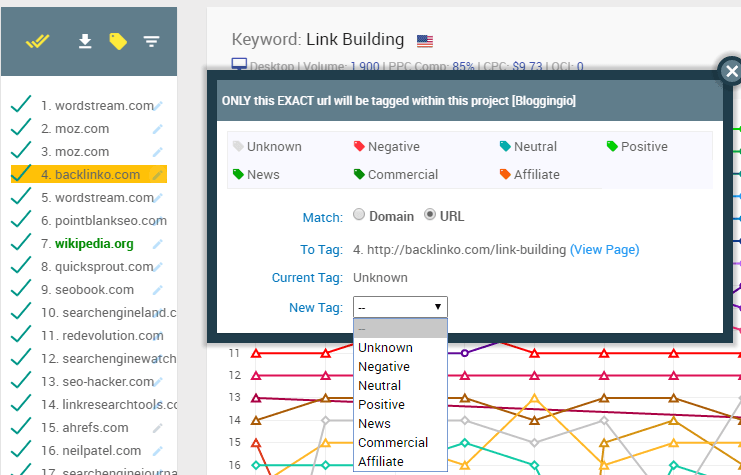 Now analyze the competitor's backlinks and find how they linked it? If the link is from forums or web 2.0, create an account and drop your links over there. If the link is from a guest post, approach the site owner and provide your guest posts. This method is a simple yet useful tip to get backlinks and this tool makes it simpler to analyze. The tool provides ORM ( Online Reputation Management) analysis by which you can manage your client websites by defining a tag. Sometimes official websites to rank for keywords, and you can't control it. In that case, you can tag it as commercial or something similar, thus saving your time by not analyzing such sites. You can also tag sites as an affiliate and monitor them closely for their activities thus provides a professional SERP tracker and ORM analysis tool for such a low cost helping us to save money from expensive tools. I was fixed to mention this feature in this SERPWoo review, and this SERP tracker allows you to check local SEO rankings in a brand new way. Just provide the GPS coordinates or simply enter the city name or postal code, the tool even tracks the local SEO results perfectly. You don't know when a platform gets a massive hit. Quora started back in 2010 beaten up Yahoo answers and ranking for many keywords in search results. How to find hundreds of similar sites like Quora used by SEO people to rank a website? You can find and combine multiple platforms and thus you can make a move to rank your websites without doing anything. Another remarkable thing I need to mention in this SERPWoo review. You can find the historical SERP archive data to find which site lasts long and which one won't work. Example: Replica Gucci' a high turn-over niche, we can see what sites, which were ranking on Jan 1, 2014 (focus date), survived and for how long. Finally, the highlight of the tool is here.You will get a notification each time via mail whenever a site moves up in the search results. 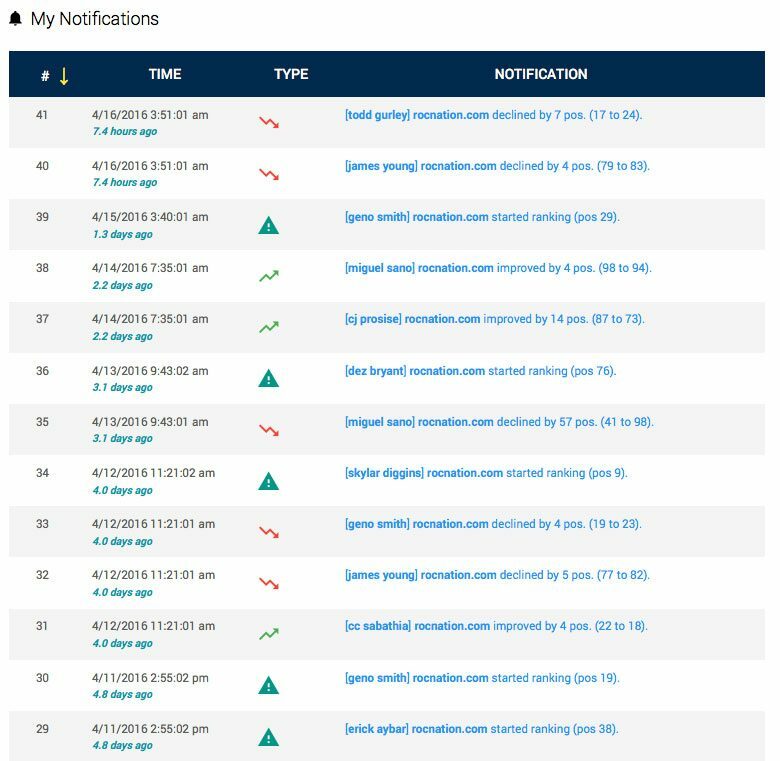 A website ranking at #25 moves to #5; then you will be notified via mail and also through notification panel inside the tool. This SERPWoo review first appeared on bloggingio. Quickly analyze whatsoever there and drop your link to get a backlink and make your competitors stunned. That's what I mentioned above, GOD Mode SERP Alerts. Put mobile first; Google advises SEO professionals, and this tool helps you to do the same. It allows tracking websites either via desktop or mobile or both. 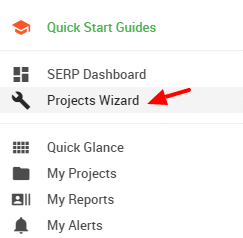 While creating a new project wizard, select the appropriate option and make your tracking easier. While writing this SERPWoo review, more than 7+ upcoming features are in pipeline.Both old and new customers will get all the features without any limits. SERPWoo only tracks Google search engine results (not Bing and others). You can track your keywords from 51 countries via both desktop or mobile. 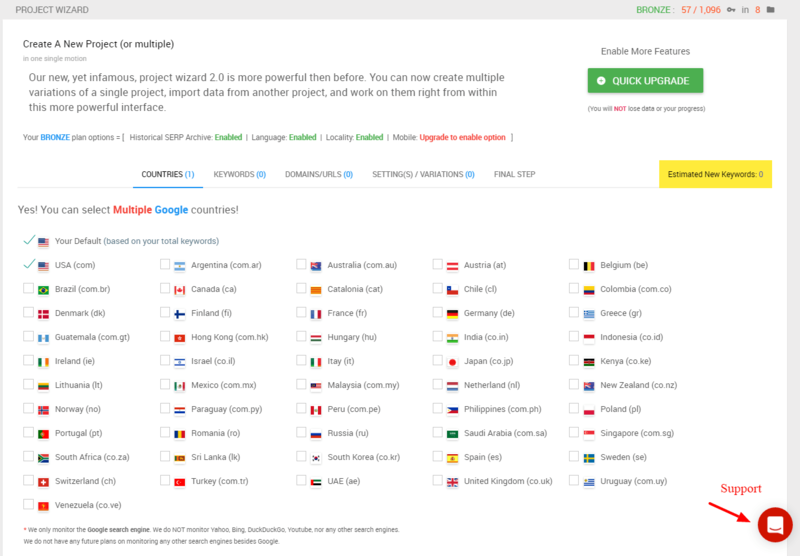 While selecting the project, you just need to choose the countries you need to track. 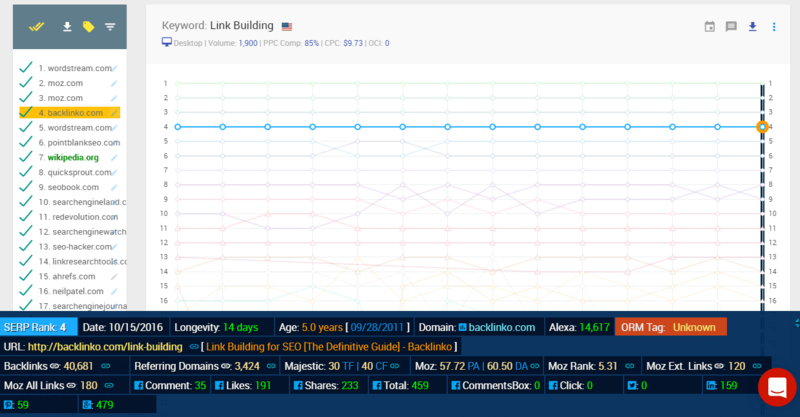 If you think this tool as just a rank tracker tool, then it's wrong, it's a SERP tracker. If you think it's just a SERP tracker tool, then it's a ninja suite of SEO tool. This is an excellent addition to tool. I need to write a separate post to define how this keyword finder works, but in this post, I will explain in brief how SERPWoo is different from other tools. If you search for a keyword on any tool, it brings you the list of seed keywords and tools shows the competitive score of that keyword. The tool analyzes the top 10 websites ranking for your keyword and finds the hidden keywords they are ranking. Consider your keyword is ” buy backlinks ” and you know that your site is ranking for the keyword, but you don't aware of that there exists a keyword “get backlinks” for which your competitors are ranking. Thus the tool brings not only the seed keywords but also the hidden competitors keywords. There are various options like you can get the search volume, competitiveness of the keyword, PPC data and much more. Bronze – Costs $49.95 per month where you can track up to 750 keywords. P.S- No Credit Card required for demo. There is no real alternative to SERPWoo right now. This is the first and foremost tool to bring you the innovation for tracking top 100 search results. I heard some other tools working on an alternative, but when they get released, I bet SERPWoo would take you the next level of SERP tracking with its upcoming features. If you think the tool is somewhat cost higher than your budget or number of keywords tracking is less, then I bring you a surprise. In case if you bought SERPWoo SERP tracker, You can follow the step by step tutorials below to learn how to use it efficiently and also know how to get 20% bonus code from me. #1 Click Project wizard found from the left side hammer menu. #2 Choose the countries for which you need to track the keywords ( you can choose from 50+ countries), and you can contact their support anytime just by clicking the red icon at the bottom of the right side. #3 Enter the Keywords to track. Enter one keyword per line and it takes care of other things. #4 Enter the URL or domain name you want to track. The best thing is to enter domain name because the tool will help you to track all pages for the domain with keywords you selected. If you like to track Youtube URL or any exact URL, use double quotes to mention the URL. In this SERPWoo review, I just used my domain name for an example. #5 Enter project name for country variations and choose whether regular or ORM ( searches top 20 domain alone) and select the language. If you're doing local SEO, then select the locality using GPS coordinates or pin code and finally choose Desktop or Mobile for tracking. That's it; it will show the ranking of your domains. To claim our exclusive bonus account, click on My Account, there you can get an option like this, enter our code and you will get a notification when your keyword capacity gets increased. I don't need to say much in this SERPWoo review. If you're not using this advanced tool, you know that you're behind others. Be it client SEO or affiliate SEO, I think SERPWoo is a necessary tool to overcome competitors and to take control of whole SERP results. If you're looking to get it, don't forget to use my bonus code for 20% additional keyword tracking for any plans you subscribed. Yes Chaitanya, SERP tracker is important to stay ahead of competitors.